In addition to dozens of professional publications, Dr. Tyson has written, and continues to write for the public. From 1995 to 2005, Tyson was a monthly essayist for Natural History magazine under the title Universe. And among Tyson's ten books is his memoir The Sky is Not the Limit: Adventures of an Urban Astrophysicist; and Origins: Fourteen Billion Years of Cosmic Evolution, co-written with Donald Goldsmith. Origins is the companion book to the PBS-NOVA 4-part mini-series Origins, in which Tyson served as on-camera host. The program premiered on September 28 and 29, 2004. Two of Tyson's recent books are the playful and informative Death By Black Hole and Other Cosmic Quandaries, which was a New York Times bestseller, and The Pluto Files: The Rise and Fall of America's Favorite Planet, chronicling his experience at the center of the controversy over Pluto's planetary status. The PBS/NOVA documentary "The Pluto Files", based on the book, premiered in March 2010. 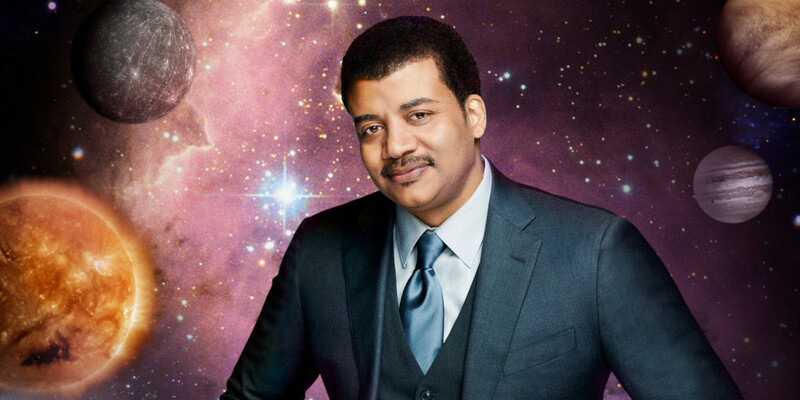 For five seasons, beginning in the fall of 2006, Tyson appeared as the on-camera host of PBS-NOVA's spinoff program NOVA ScienceNOW, which is an accessible look at the frontier of all the science that shapes the understanding of our place in the universe. During the summer of 2009 Tyson identified a stable of professional standup comedians to assist his effort in bringing science to commercial radio with the NSF-funded pilot program StarTalk. Now also a podcast, StarTalk Radio combines celebrity guests with informative yet playful banter. The target audience is all those people who never thought they would, or could, like science. Tyson is the recipient of eighteen honorary doctorates and the NASA Distinguished Public Service Medal, the highest award given by NASA to a non-government citizen. His contributions to the public appreciation of the cosmos have been recognized by the International Astronomical Union in their official naming of asteroid 13123 Tyson. On the lighter side, Tyson was voted Sexiest Astrophysicist Alive by People Magazine in 2000. Recently Tyson served as Executive Editor and on camera Host & Narrator forCosmos: A SpaceTime Odyssey, the 21st century reboot of Carl Sagan's landmark television series. The show began in March 2014 and ran thirteen episodes in Primetime on the FOX network, and appeared in 181 countries in 45 languages around the world on the National Geographic Channels. Cosmos, which is also available in DVD and BluRay , has been nominated for 13 Emmy Awards, including Outstanding Documentary.